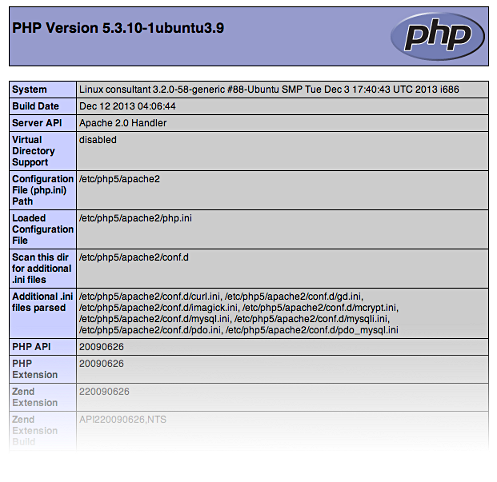 PHP configuration parameters are shown by PHP function phpinfo(). To view such a table, click “PHP configuration” icon in Logs app. If you cannot use Logs app. Upload the file to the website root directory. Open its URL in a browser address; e.g., at http://mydomain.com/info.php if the file’s name is info.php.